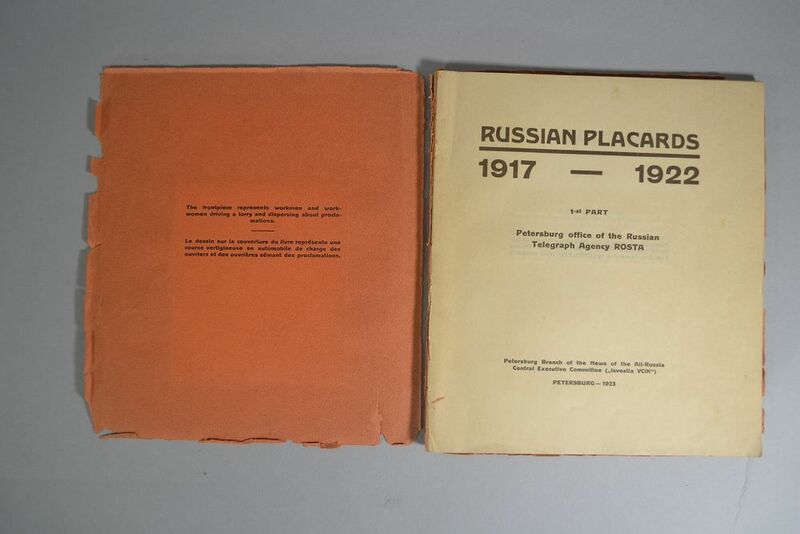 RUSSIAN PLACARDS. 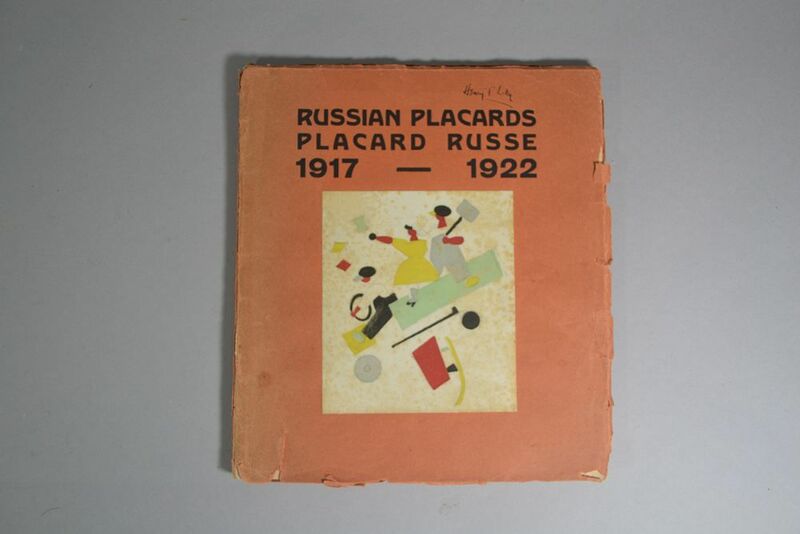 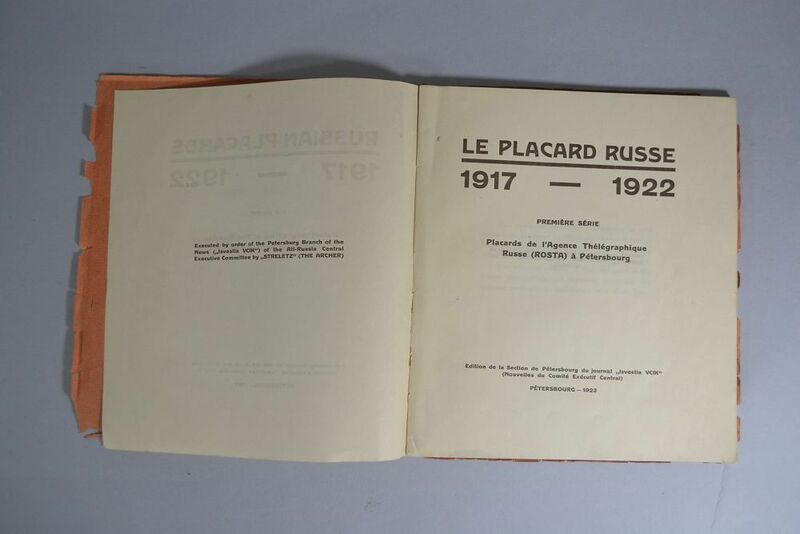 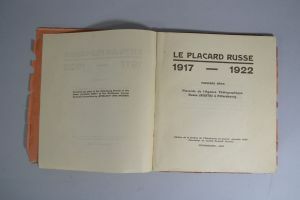 PLACARD RUSSE. 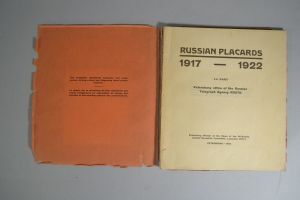 1917-1922.
small 4to (214 x 189mm. 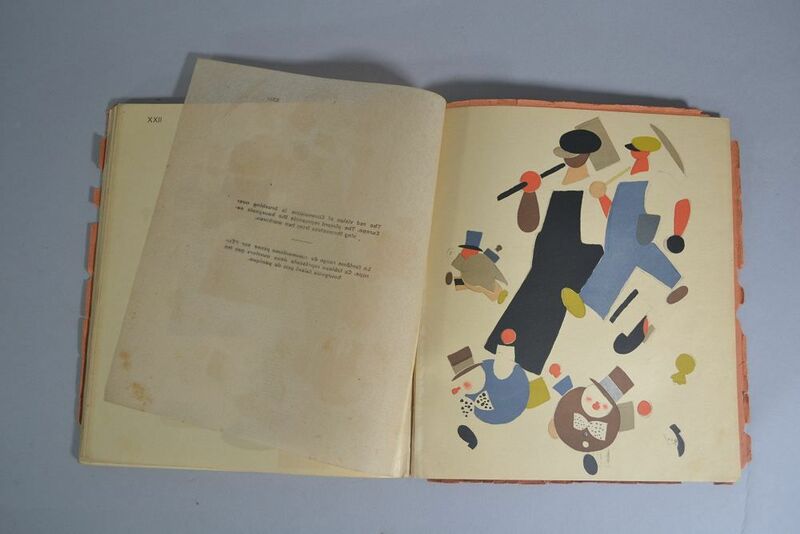 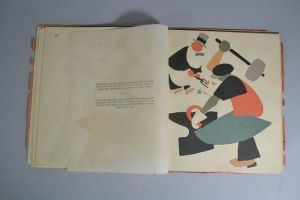 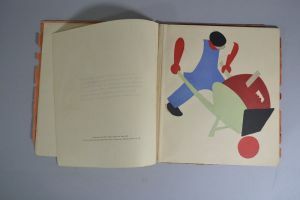 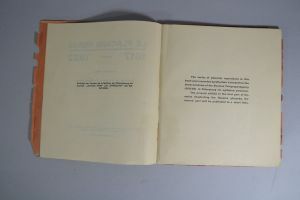 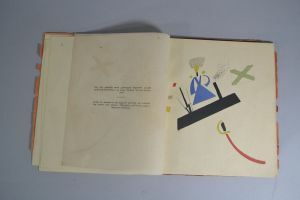 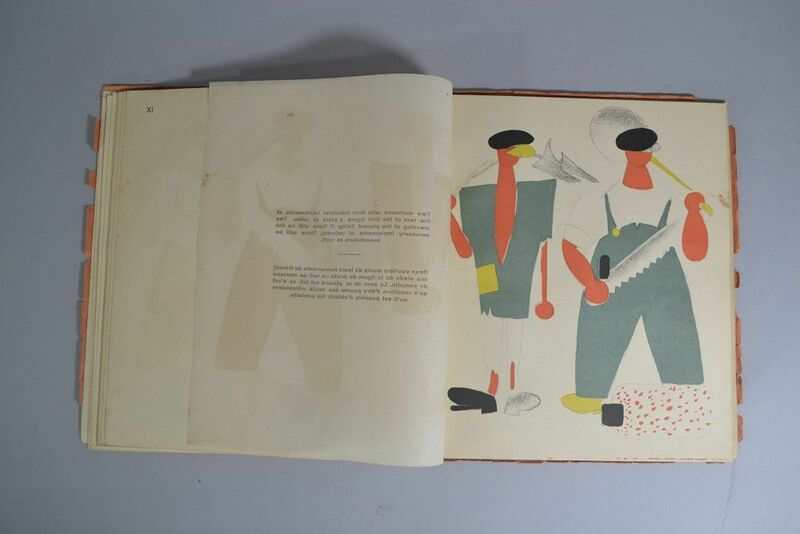 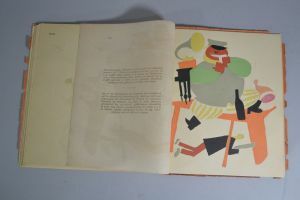 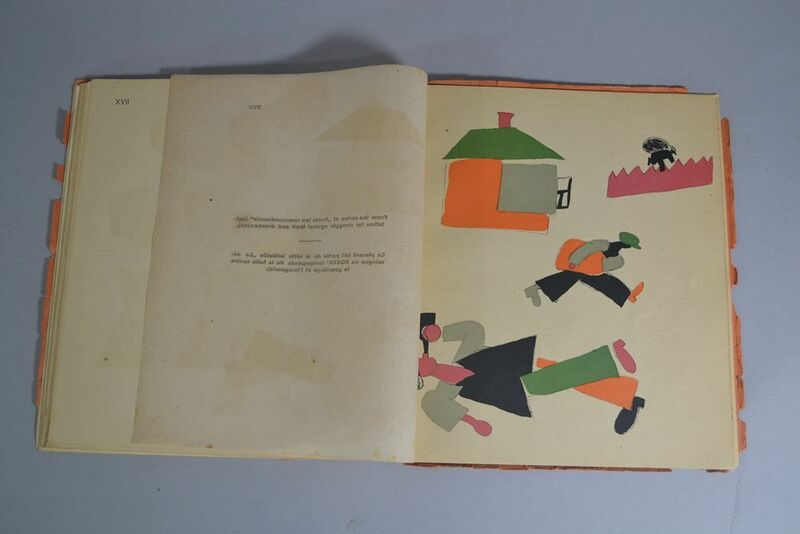 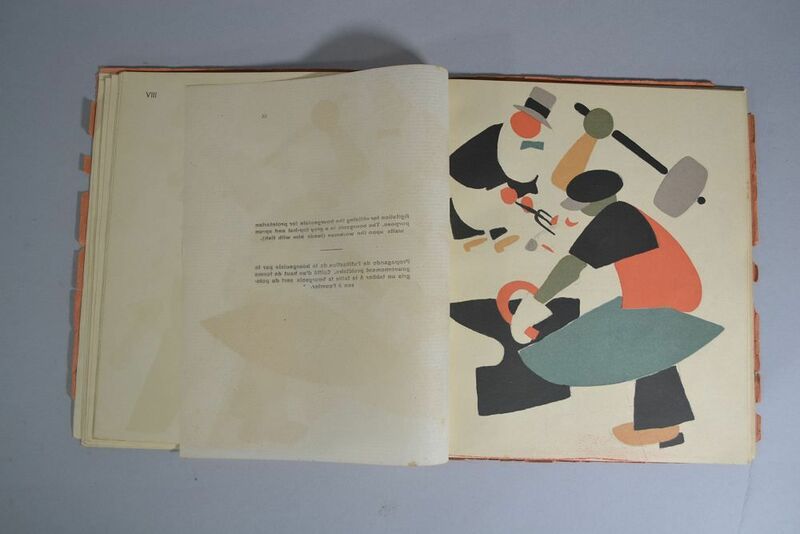 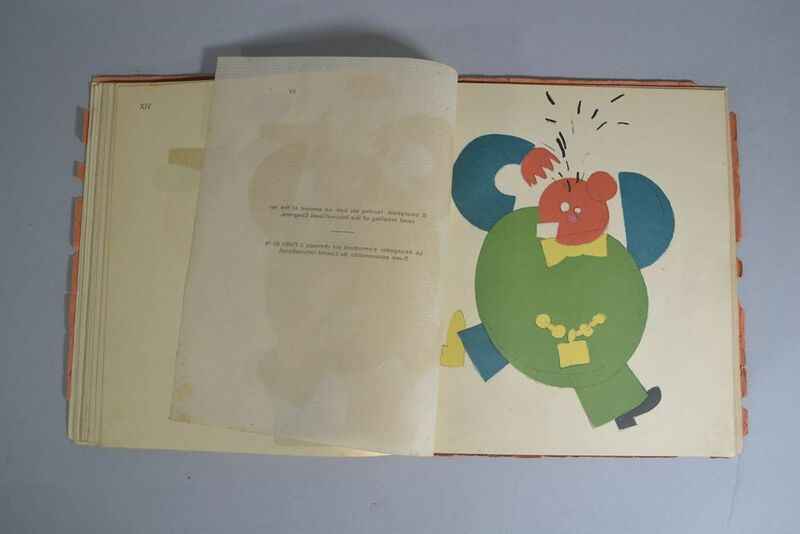 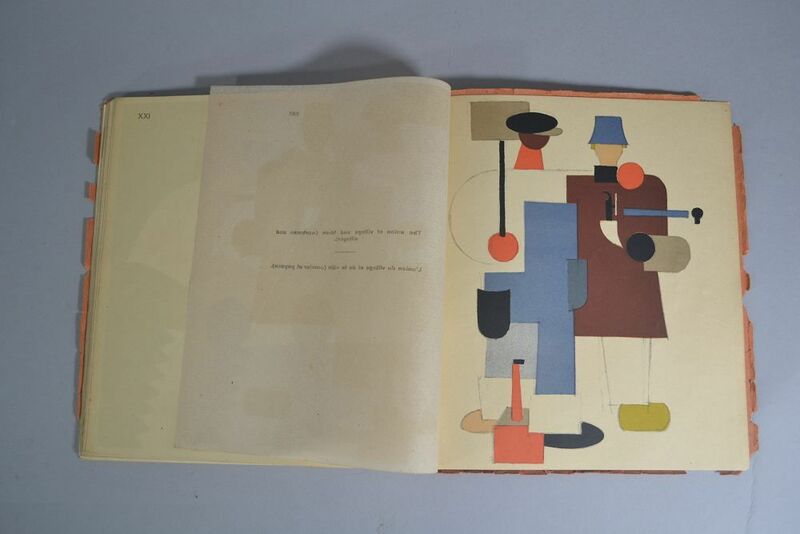 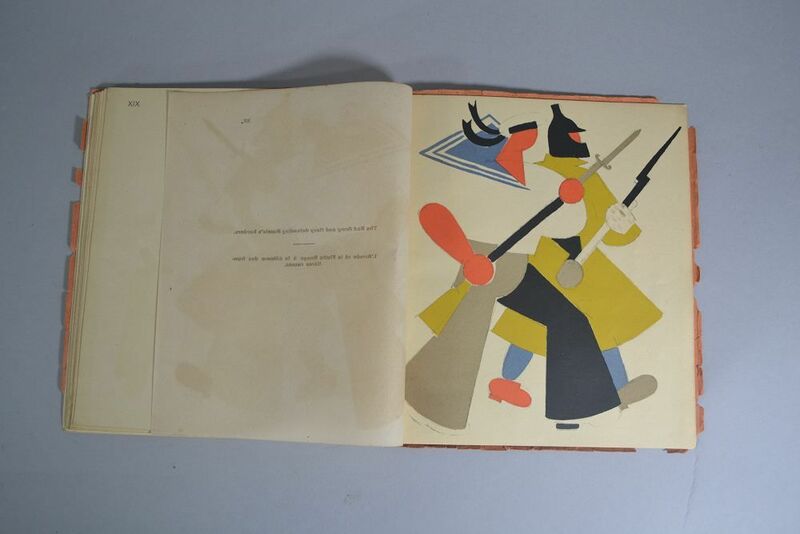 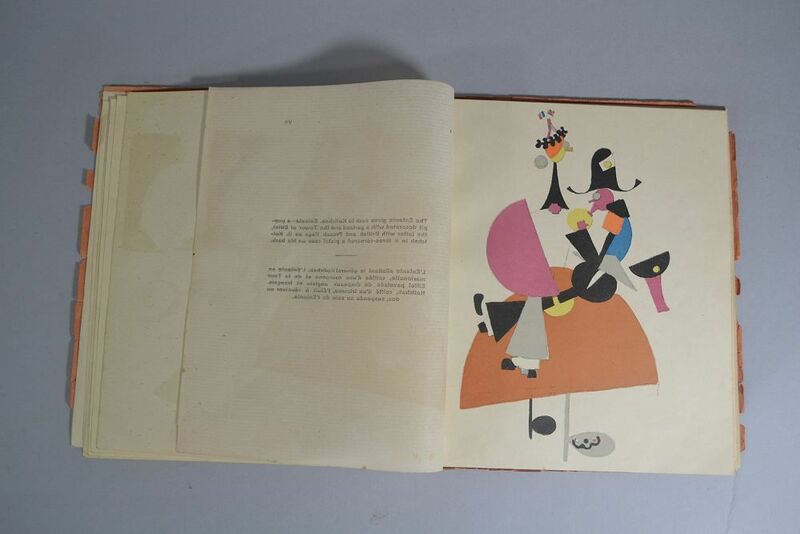 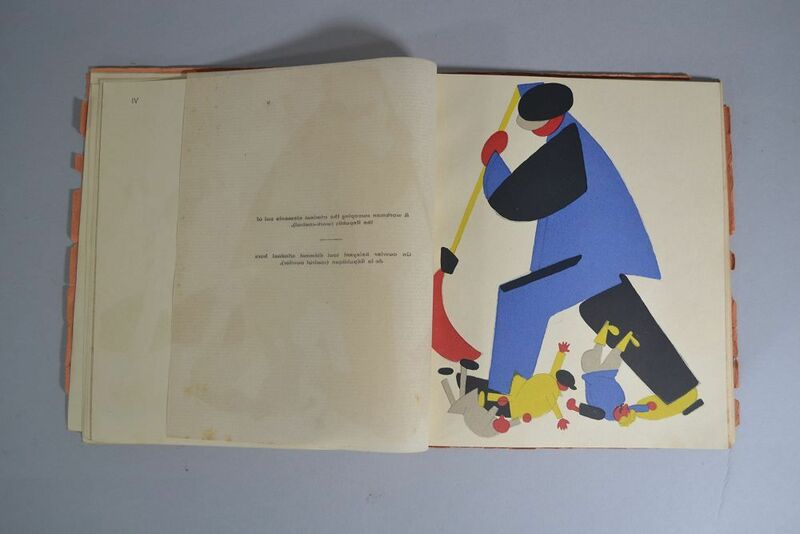 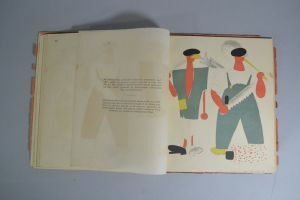 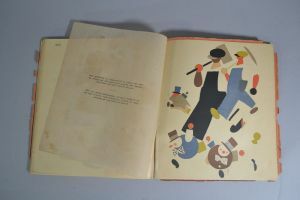 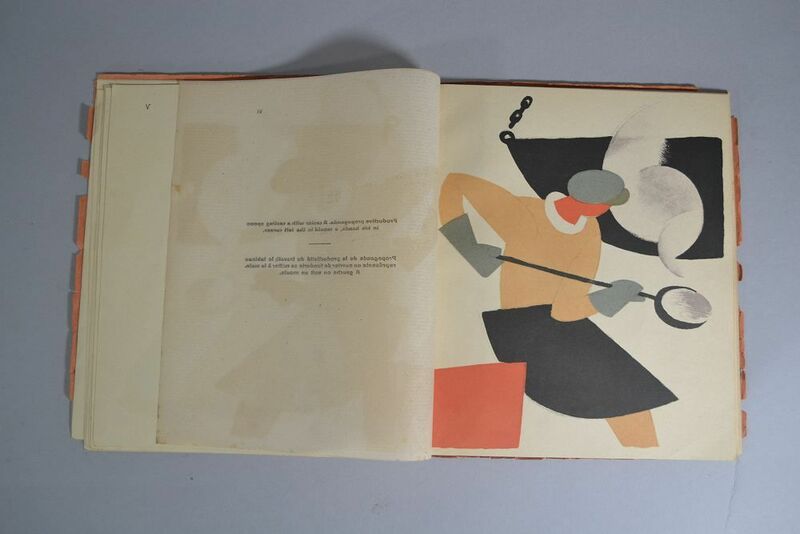 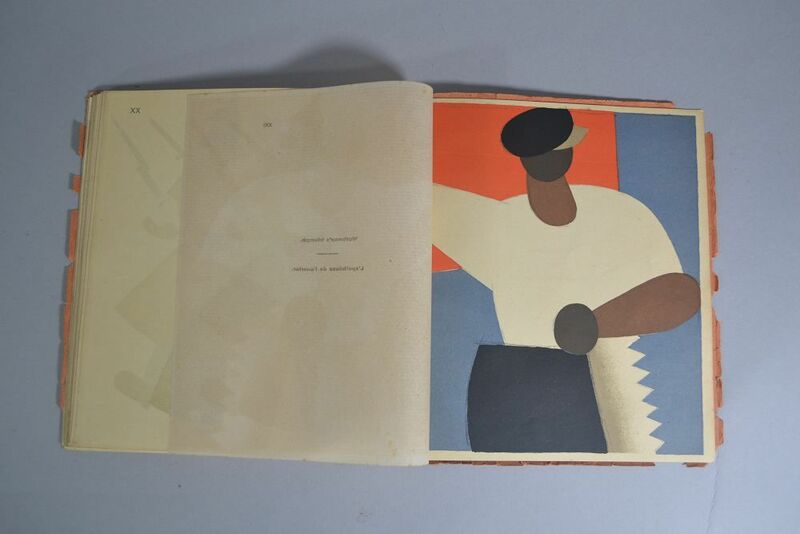 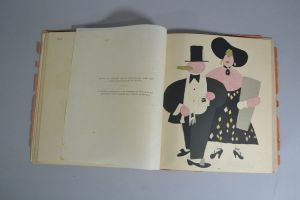 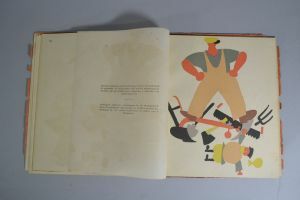 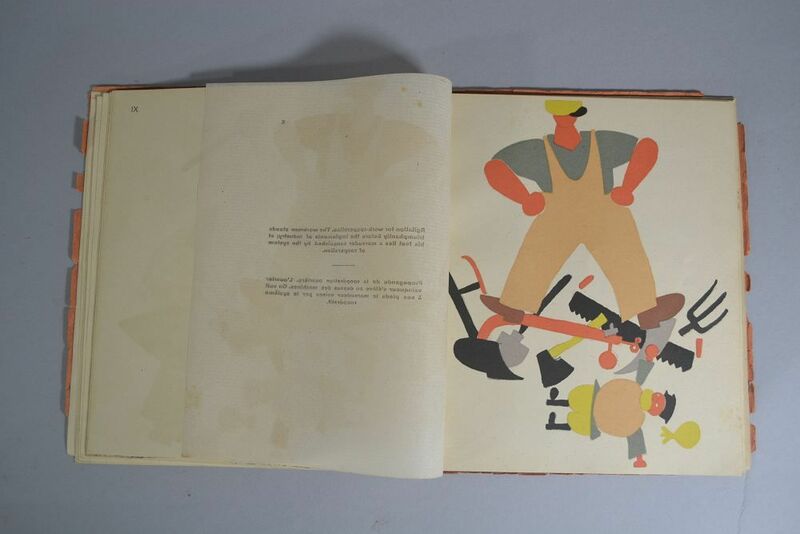 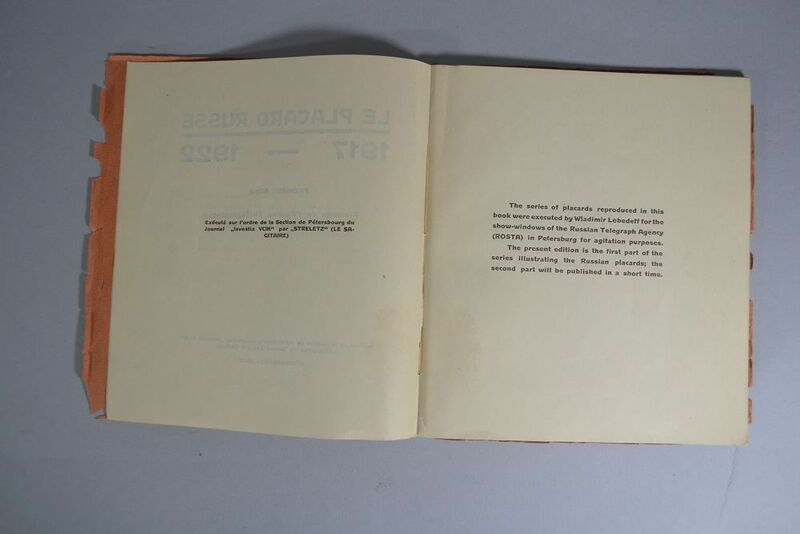 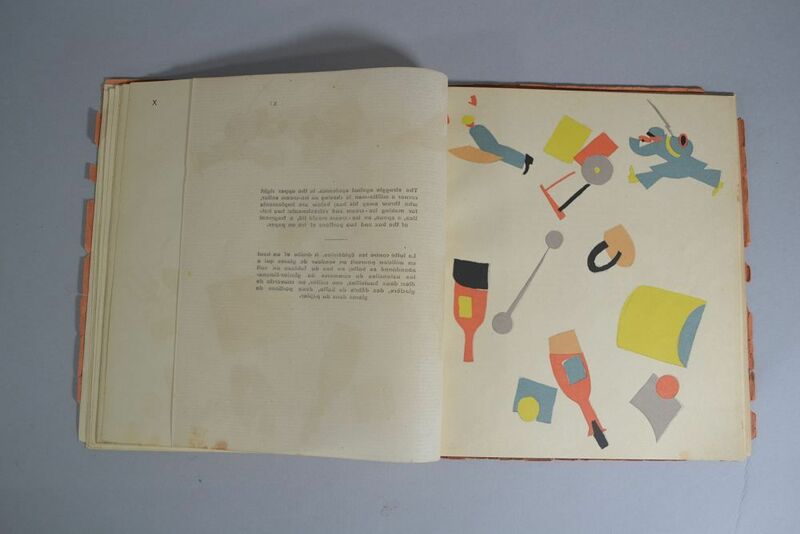 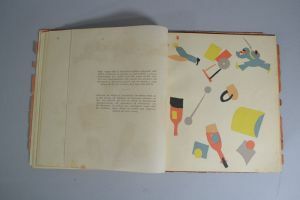 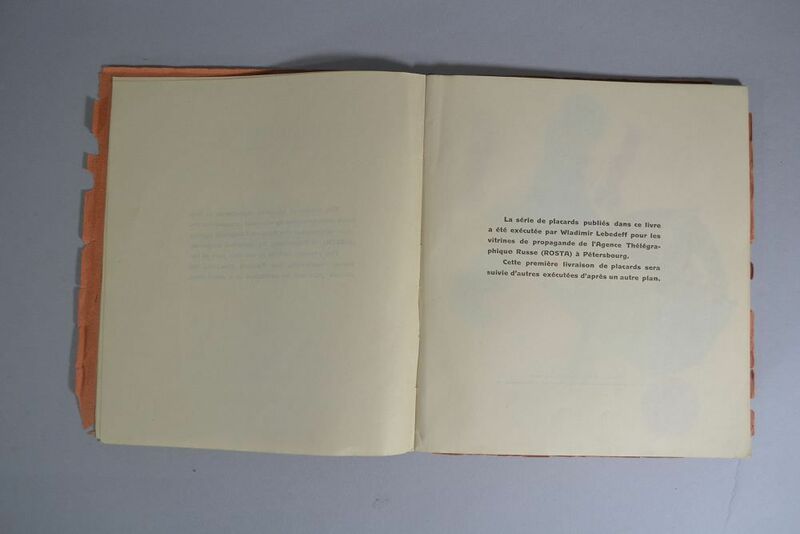 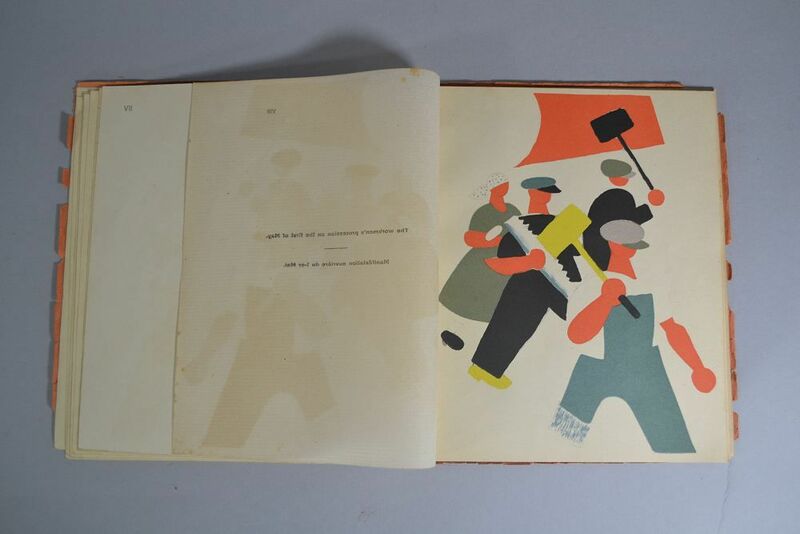 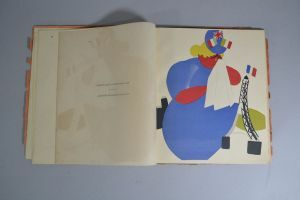 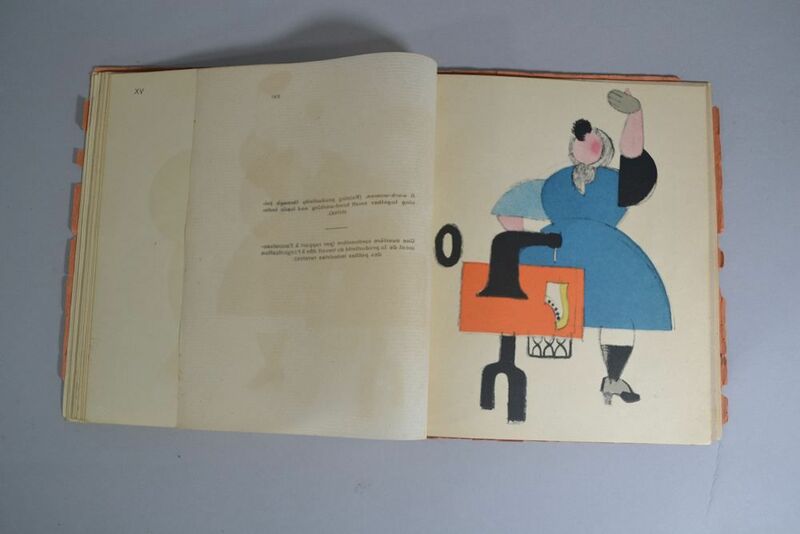 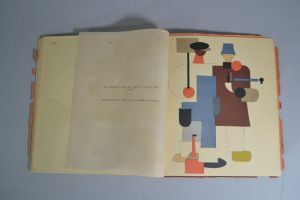 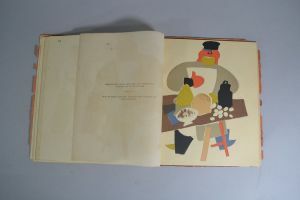 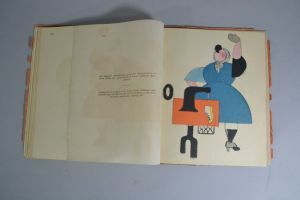 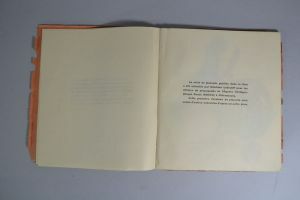 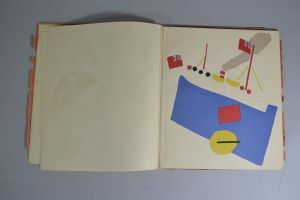 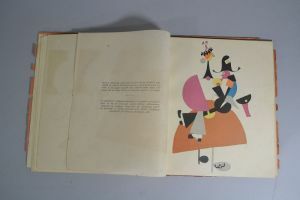 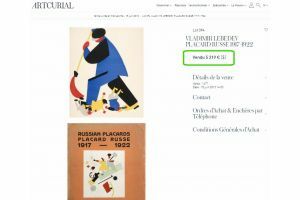 ), [limited to 1700 copies], 23 coloured lithographs by Lebedev , with accompanying guard sheets with captions in English and French. 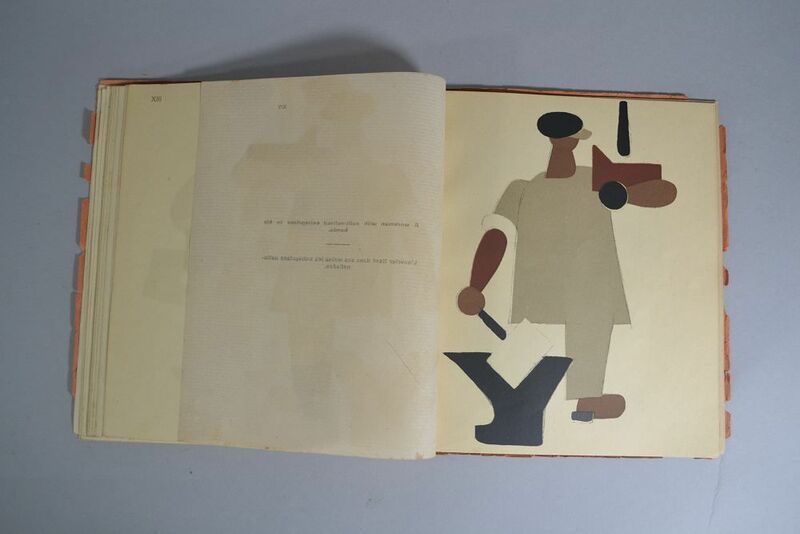 (2 guard sheets missing). This fine series of posters was executed by Lebedev for the show-windows of the Russian Telegraph Agency (ROSTA) in St Petersburg for propaganda purposes. 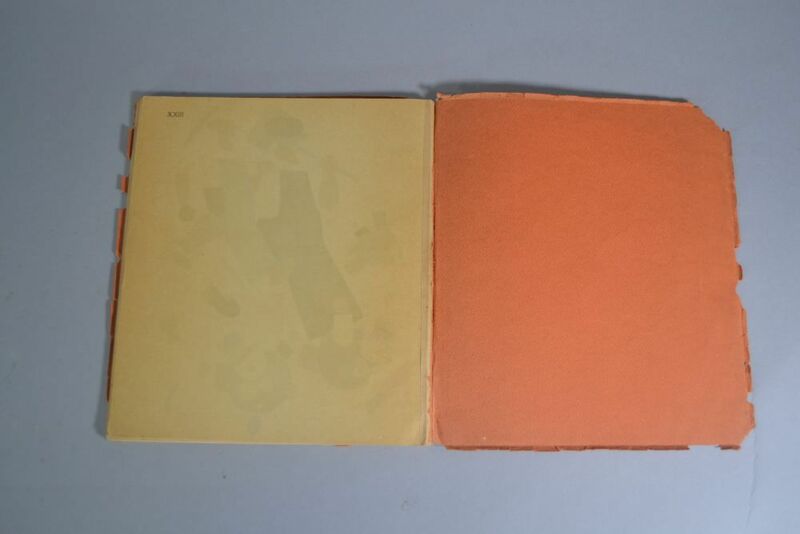 This was the first of an intended two-part series. 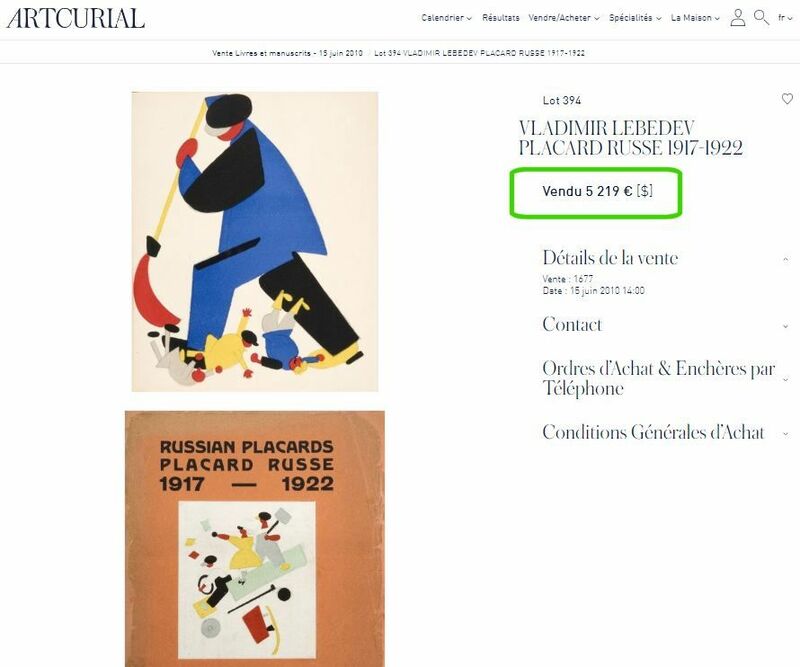 Lebedev's strong geometric images were based on folk art but display the strong influence of Neoprimitivism and contemporary Abstraction. 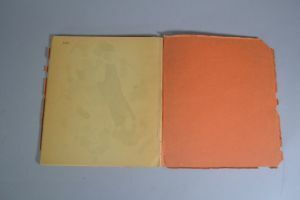 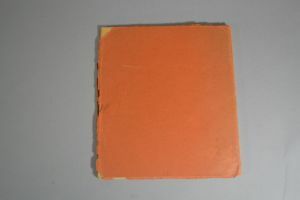 Worn and detached cover. Litho are in excellent condition. 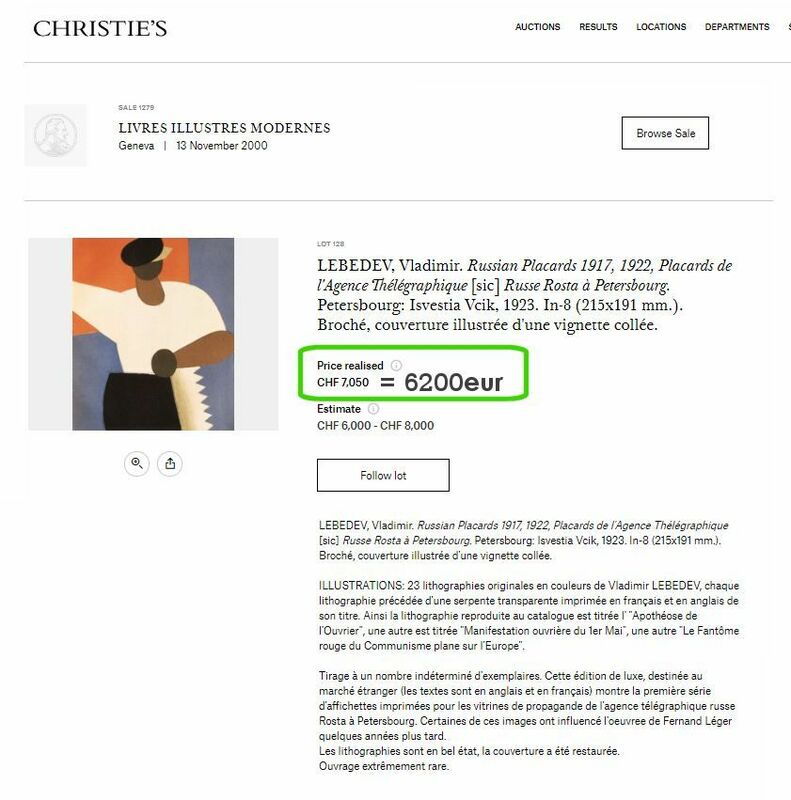 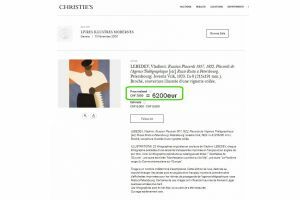 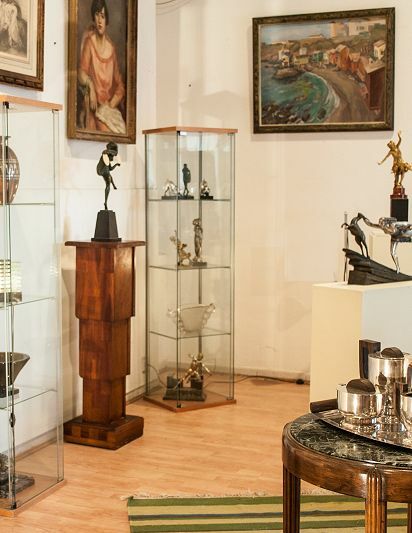 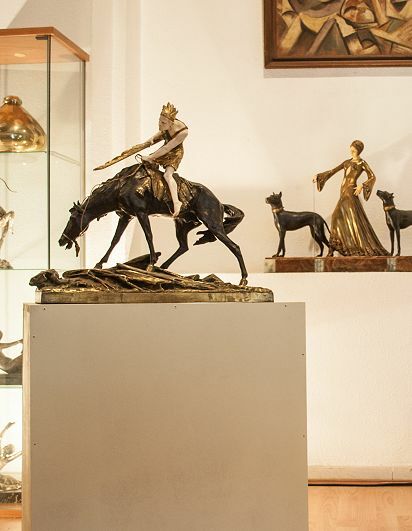 A rare find often auctioned for more than 5000eur.